If you have been charged with a misdemeanor, you’re likely feeling a bit overwhelmed and anxious about what is going to happen to you over the next few months. While a misdemeanor is considered a “lesser criminal act,” it is still important to hire an attorney who understands the law, can explain your specific process to you in a way you can understand, and who may be able to have your sentence or fine reduced or wiped completely away. Many people don’t know how to define “misdemeanor.” As previously mentioned, it is a “lesser criminal act.” Someone who is charged with a misdemeanor is not punished as severely as someone who is charged with a felony. Some misdemeanors include disturbing the peace, trespassing, reckless driving, vandalism, first and second offense DUI, and petty theft. But just because you have been charged with a misdemeanor, don’t assume that an attorney is not necessary. Being charged with a misdemeanor can carry with it major consequences that can follow you around for the rest of your life and hold you back from getting the job or home you want. For your information, we have put together this short write-up for how the misdemeanor process works. Every criminal case, misdemeanor and otherwise, can be a confusing process that’s rife with proverbial “red tape” and drawbacks. A misdemeanor case will likely involve motions, court orders, hearings, a plea deal, or even a possible trial jury. In an effort to smoothly navigate your way through this process, you need an advocate on your side. 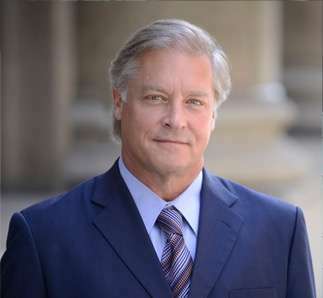 A quality criminal defense attorney like Gary Gerson can help explain what is going on while it’s happening and will take the necessary actions to ensure you see the best outcome. Even if all you want to do is plead guilty, an attorney will help negotiate a punishment that is agreeable to both you and the state. Having an attorney in your corner can make all the difference in the severity of any punishment you receive. As we said before, if you have been convicted of a misdemeanor, the penalties you face can substantially affect your life. Many people don’t realize that a misdemeanor charge can result in court-ordered rehab, expensive counseling, loss of a driver’s license, high fines and court costs, years of probation, and months or years in jail. In addition to the obvious penalties that come with a misdemeanor, there are also some less obvious consequences. Your conviction is going to be reported a public database. Thus, anyone who would like to perform a background check on you—an employer, admissions office, or landlord—can see the offense and choose to forego your application because of it. During a misdemeanor case, the difference in a prosecutor’s final offer and the penalty set forth upon conviction at trial is menial. An example may be a small difference in the amount of a fine or number of days a person must serve community service or house arrest. Because of this slight difference, it is often advantageous to the suspect to take the case to trial. And this is where an experienced criminal defense attorney like Gary Gerson can help. Although going to trial is not always the best option, it may be the best option for you. Too often, we see people who are bullied or tricked into taking plea deals that could have been reduced a great deal more had they acquired an established defense lawyer first. Without a lawyer, a prosecutor can scare you under the maximum penalties allowed by law. But a good advocate can give you better likely scenarios and even work out a better deal on your behalf. Most people think they can’t afford a criminal defense attorney and that’s the biggest reason why people go unrepresented. However, defense of a misdemeanor charge usually doesn’t require much time and by hiring a lawyer, that time can be sped up even more. In essence, hiring a lawyer for a misdemeanor case is almost always worth the cost. Pittsburgh Criminal Defense Attorney – Free Consultation – 412-219-6875 If you have been arrested for a misdemeanor crime and you have questions, call Pittsburgh misdemeanor crimes lawyer Gary E. Gerson at 412-219-6875 for a free consultation.